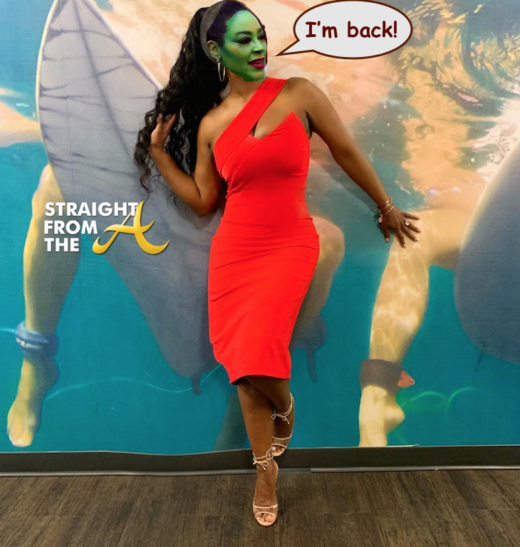 The Real Housewives of Atlanta is still ongoing but the ladies all got together last night to film the season 10 reunion show. Now I’m not one to gossip, but I received some EXCLUSIVE hot tea about the goings on the set. 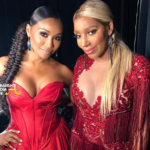 It was an all out battle at the Biltmore as Nene Leakes, Cynthia Bailey, Kenya Moore, Marlo Hampton came out the victors, Kandi remained pretty neutral (kinda like ‘switzerland’) and Sheree Whitfield and KKKim Zolciak-Biermann both got their wigs snatched. 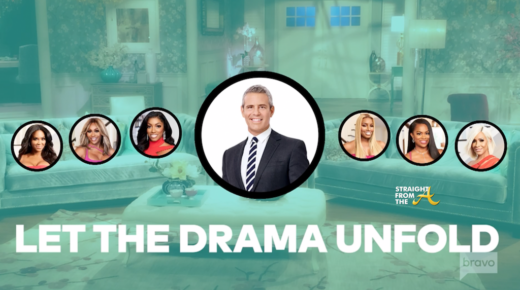 As indicated in the ‘seating chart’ video above, the reunion starts with Nene and Porsha in the two coveted seats flanking host Andy Cohen. 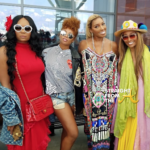 The remaining peach holders were seated as follows (from left to right): Kenya, Cynthia, Porsha (Andy) NeNe, Kandi, Sheree. As for the non-peach carrying characters, they were brought in and seats were swapped as needed. When Kim arrives, she grabs Porsha’s seat next to Andy to go head to head with Nene and I don’t think she was prepared for the epic dragging she received. 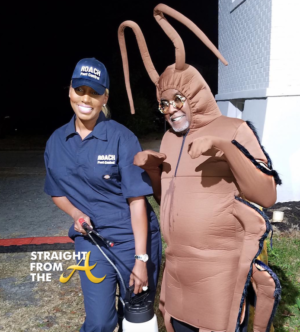 While we all know that Nene was going to get KKKim right together about roach gate, it seems that just about EVERYBODY got their licks in too. Well… everyone except Sweatsuit Sheree. It’s been repeated throughout the season that Kim brings Kroy (and often her kids) to every taping. Kroy is known to sit outside and wait, which gives Kim an ‘excuse’ to cut scenes short and leave early from functions. EVERYONE (except Sweatsuit Sheree) chimed in about Kim and Kroy and how uncomfortable it is when she brings him along. Kim attempted accuse them of all being jealous of her great life and awesome husband, but just about everyone (except Sweatsuit Sheree) agreed that Kim is invoking a ‘privilege’ that none of the others have. i.e. she can do whatever she wants, bring whoever she wants, and there are no repercussions. The other ladies with husband and kids can’t bring their husbands and kids with them to work… so why is Kim granted that privilege? 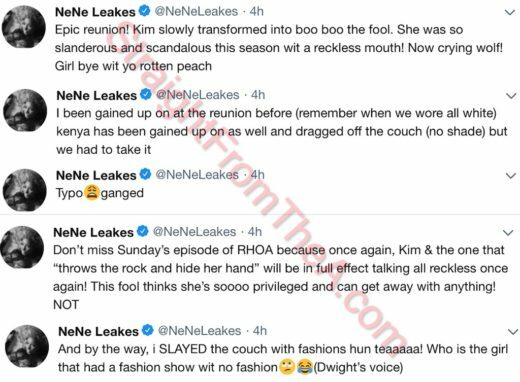 Kim apparently felt that she was being ‘ganged up on’ and Nene hit the tweets to call her out about playing the victim and even addressed how she (Nene) has been ‘dragged’ at just about every reunion! Oh… and KKKim’s mini me was on set as well and was literally crying backstage as her mom’s wig was being snatched. 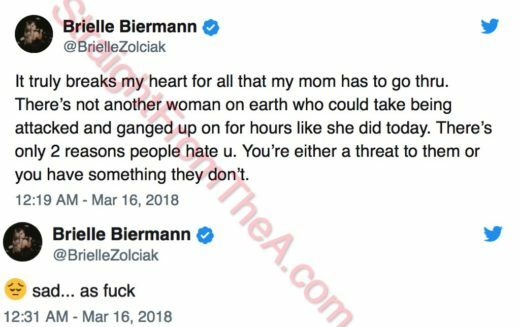 Kim clearly has taught Brielle how to play the victim… But I digress. I keep telling y’all Nene is NOT HERE for constantly being linked to Sheree’s imprisioned con man (click HERE if you missed that) and during the reunion, Whitfield tries it again. 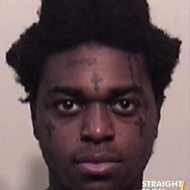 I’m told that Nene quickly shuts Sheree down by revealing that Tyrone Williams won’t be getting out of jail anytime soon. 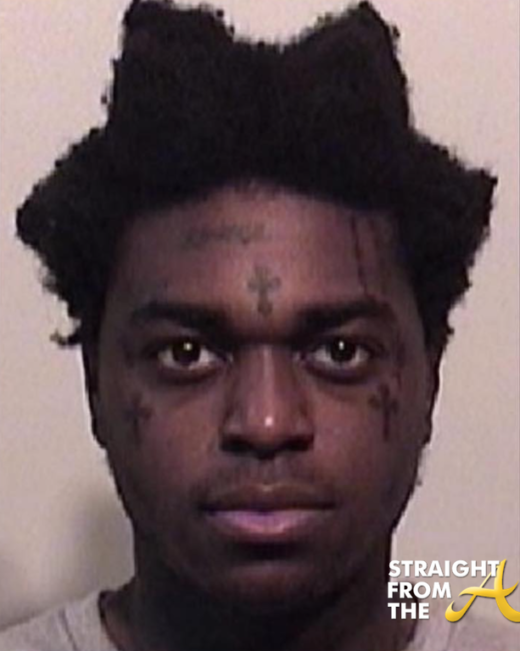 In fact, his release date is listed as November 14, 2022. Sheree tried to come for Nene’s criminal past, and Nene drags Kairo’s DUI arrest into the fold. While Sheree calls “foul” for bringing up kids, Nene promptly reminds Whitfield how she tried to drag Bryce’s shoplifting up during a previous reunion. The read of the century came when Sheree kept stuttering and squawking and Nene said it was hard for her to understand what Sheree was saying because she ‘needs to speak with someone with at least a GED’. As if Nene’s verbal assaults weren’t enough, Kandi also went in on Sheree. 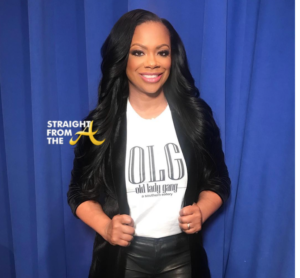 While Kandi was pretty much neutral through out the show, she seemed a bit perturbed about Kim telling Sheree that Kandi had tried to “eat her box”. 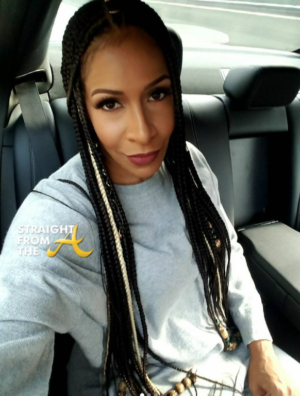 Kandi asks Sheree why she didn’t deliver THAT bone? In fact, Kandi first heard about it when the episode aired. Throughout it all… Kim claimed to be innocent and she doesn’t even remember saying it. Meanwhile, Sheree is dragged for being a ‘bone carrier’ who carries bones on EVERYONE except KKKim. 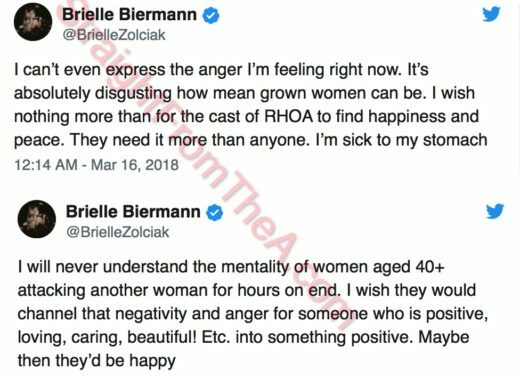 Cynthia had beef with Eva over her exposing what we already knew about the fake relationship with Will Jones. 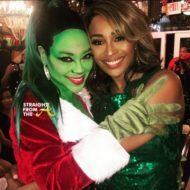 While Eva spilling tea abut her ‘relationship’ seemed to be the most pressing issue between the two, Cynthia admits that she felt somekindaway about her first exposure to Eva being under those circumstances. Kenya backs up her good friend Cynthia by accusing Eva of doing the same thing to Cynthia that Shamea had done to her. Hmmm… seems like a valid point. Porsha was no match for Marlo’s roasting skills but she did manage to drop a bit of tea on the reformed felon during their reunion squabble. As you know, Porsha left Barcelona after Marlo’s digs made her erupt with violence during a group dinner. 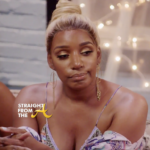 On that same episode, Porsha claimed that she had “tea” on Marlo that Nene had told her in confidence that she didn’t want to repeat because of her friendship with Nene. 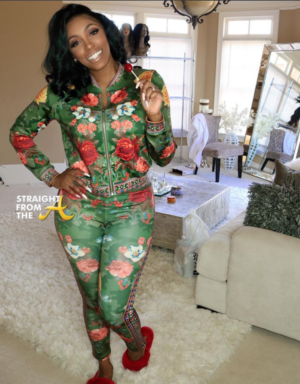 Well… apparently Porsha either got the OK from her ‘friend’ or she decided that all bets were off when it comes to war! Nene and Marlo fell out over Famous Famiglia co-founder John Kolaj. Nene “dated” Kolaj briefly while she and Gregg were fake divorced but apparently Marlo saw Kolaj as a potential mark. Marlo went out with John a few times and during one of their ‘encounters’, Kolaj ended up spending time with Marlo at her house. 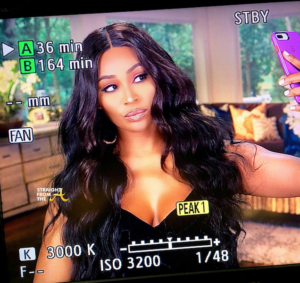 Whatever happened next is between Marlo, John and the bedroom, but apparently before, during or after their transaction, Marlo got a hold of Kolaj’s phone and took screenshots of explicit conversations between John and NeNe. At some point during her ongoing beef with Nene, Hampton threatened to expose those messages. 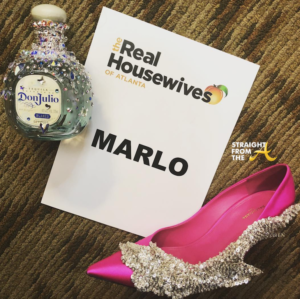 Interesting… I wonder how Nene managed to forgive Marlo for something so scandalous? I could keep going but I’ll save some for one of my many LIVE Youtube videos. 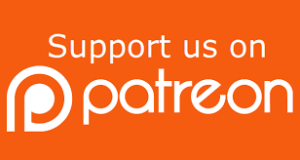 CLICK HERE to subscribe.